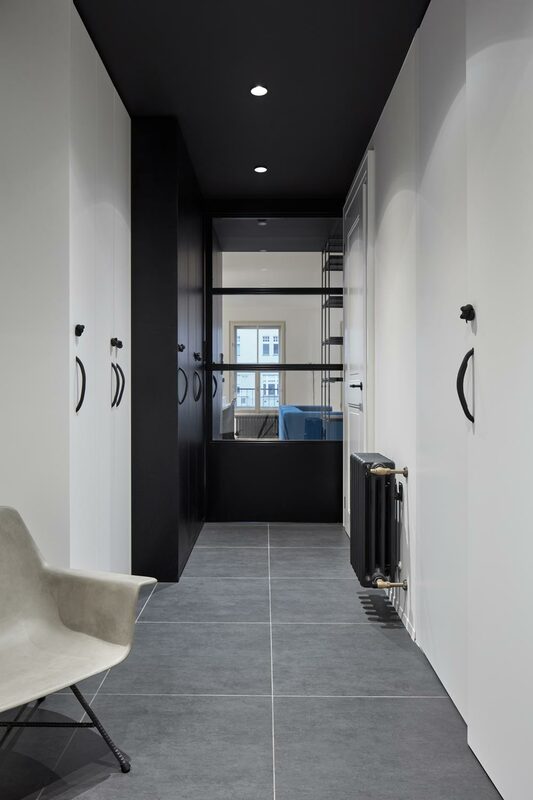 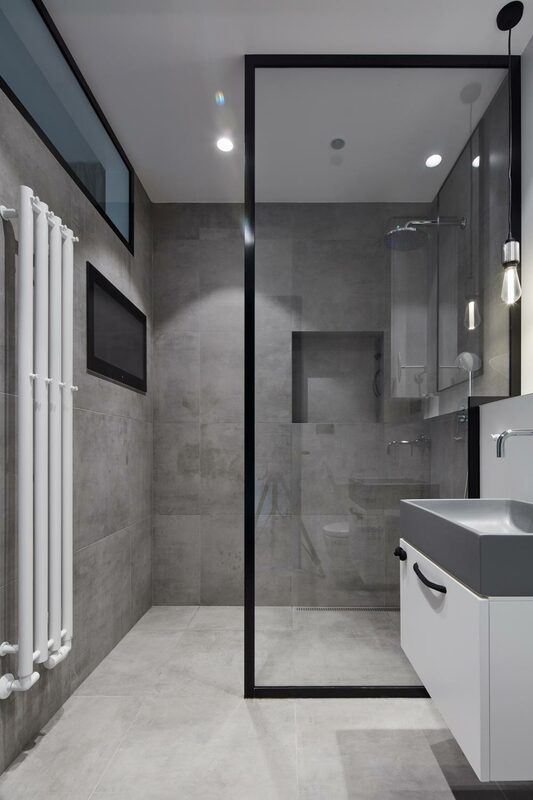 Designed by SMLX, Ovenecka Apartment is a pretty little thing located near Letna Square in Prague, and is known as ‘home’ to the young couple that lives here. 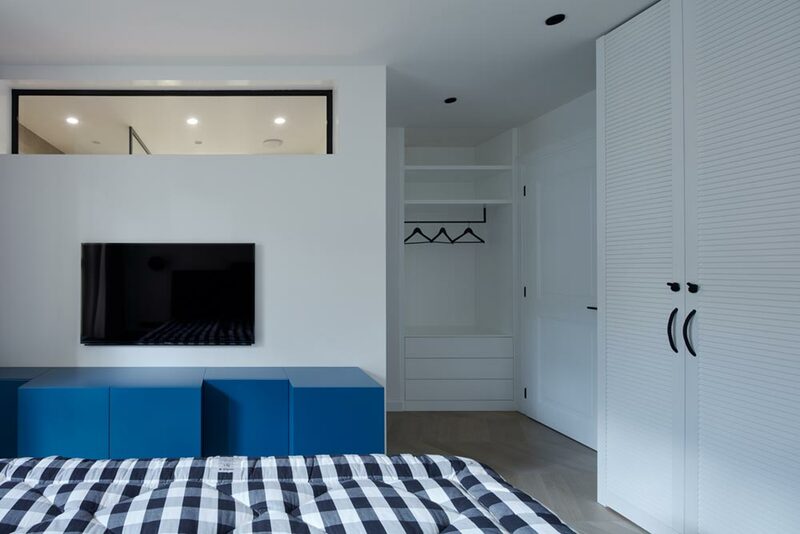 Standing (horizontally) tall at just over 1000 square feet, this space is largely monochromatic, offset by splashes of electric blue within each room. 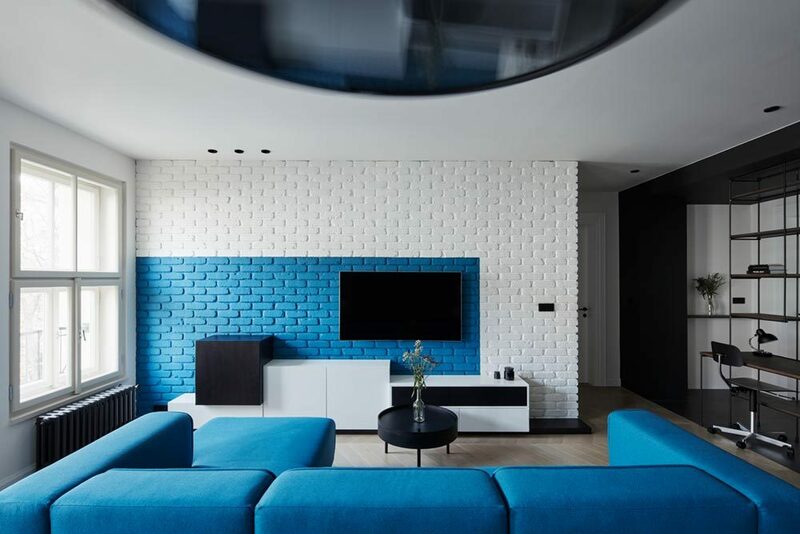 The parquet flooring in the living room maintains a charming, yesteryear feel, while the white brick wall within the same space has been painted with a striking rectangle dab of blue – matching perfectly with the custom sectional also. 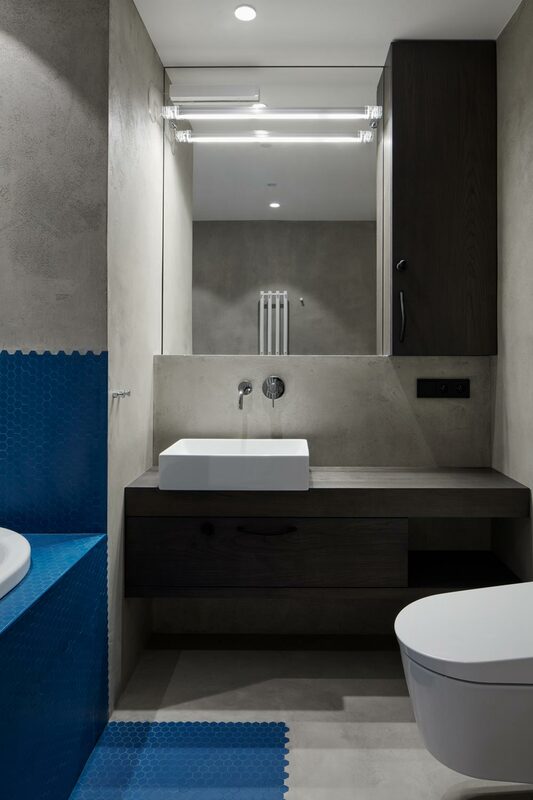 This blue hue can be found as a kind of ribbon-like mosaic through the base of the bathtub also, which defines the space in a really funky way amidst the cement floors and walls. 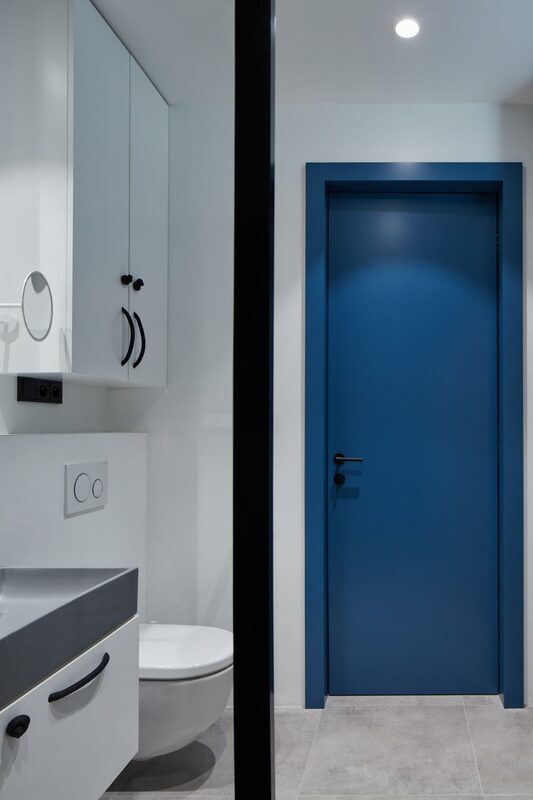 While the ensuite bathroom offers a walk-in shower partially encased in glass, as well as a brilliant blue door consistent with the theme. 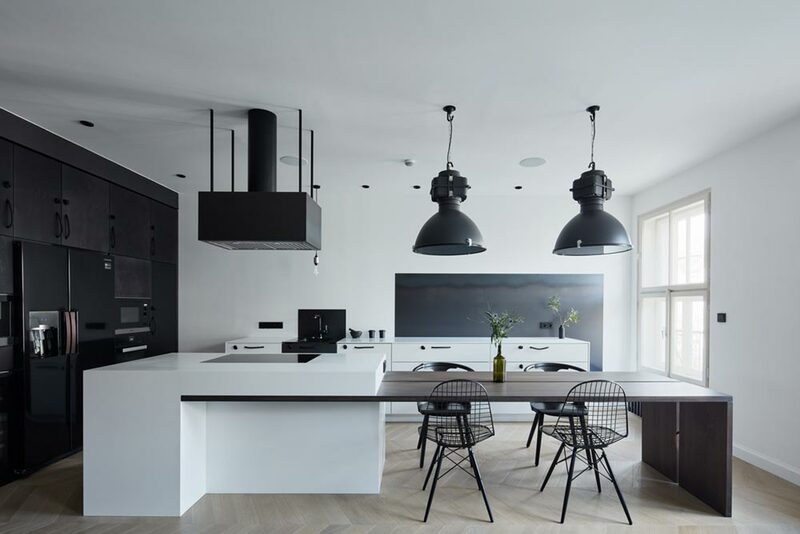 Black, as well as white, vertically long cabinets and slate tile flooring line the hallway, and the kitchen offers the same ebony Corian cabinets, offset by a white lacquer island and solid oak breakfast eating area. 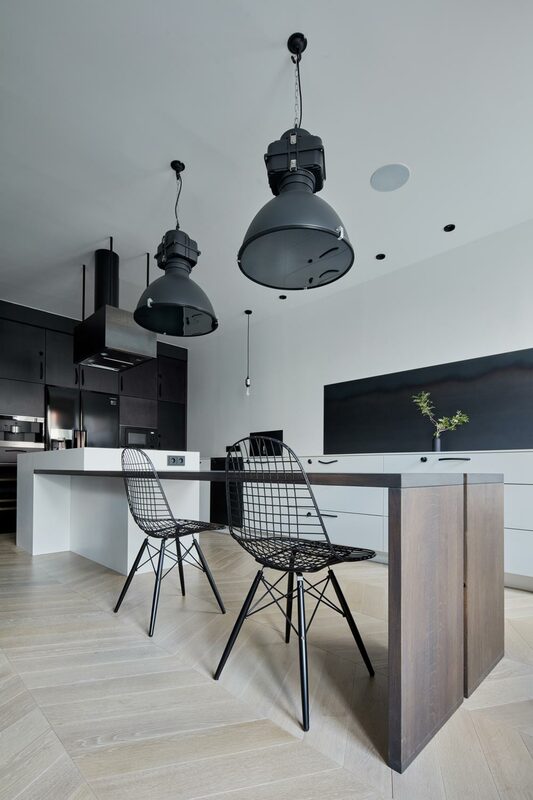 While, overhead, an industrial metal range hood and massive light fixtures balance the area perfectly. 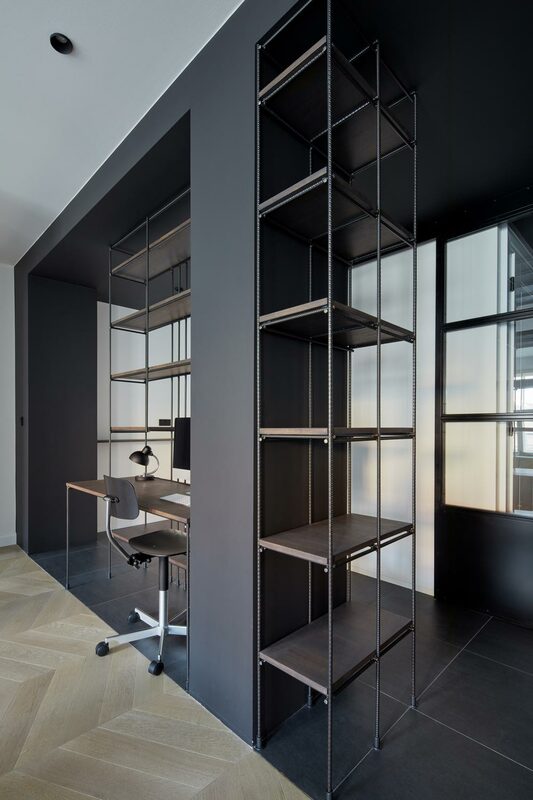 The ‘industrial oasis’ nature of this home can also be seen in the rebar library, which brings the modern appeal of this apartment renovation into focus – making this space a crystal clear design winner.